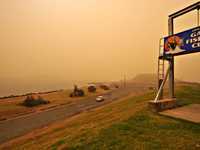 SCIENTISTS expect the dust storm that shrouded the State could have a far greater toll on the Pacific Ocean, than it had in disrupting much of New South Wales. The millions of tonnes of dust particles blown out to sea are expected to settle on the ocean surface, causing massive algal blooms. 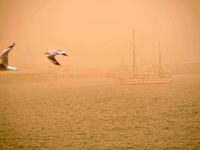 The iron-rich dust is ideal in causing the growth of phytoplankton. While these microscopic plant-like organisms are best described as the foundation of life in the ocean - even said to reverse global warming - too much of a good thing in the ocean is said to break down the marine food chain. 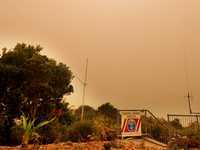 A spokesperson for Dust Watch, a network of scientists from Griffith University and the Department of Climate Change, says at times marine life cannot cope with an overload of phyktoplankton. 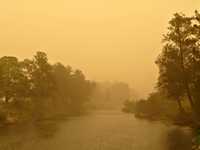 “The creation of phytoplankton is crucially dependent upon the availability of nutrients, though if there is an abundance such as after the dust storm it stimulates growth to abnormal levels,” the researcher said. Use a bucket to wash your car on the lawn; or go to a car wash that recycles the water. Wash clothes and other fabrics such as curtains in a cold wash and only when the load is full. Check out our Coff's Harbour up-to-date weather forecast.